You begged. You pleaded. You sent bribes. (oh, by the way, thank you.) Now your prayers have been answered. From the creators of The Contrary Kid comes the long-awaited sequel, and its start does not disappoint. 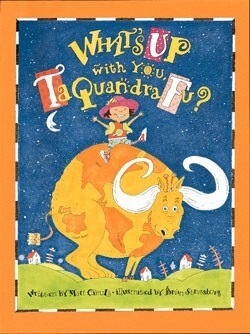 Taquandra Fu rides the Soul Train to school, snacks on hay and olives (what? ), and hangs out with a squid. 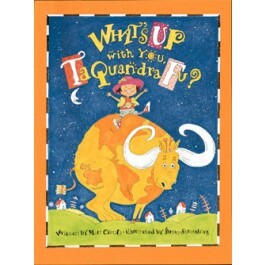 She tries hard to just be herself, even if everyone always asks her: "What's Up With You, Taquandra Fu?" The book is filled with silly and ingenious rhymes and illustrations, and it features a glow-in-the-dark cover and a secret code! You're reviewing: What's Up With You, Taquandra Fu?